Virtual Reality has been a trend slowly catching on since it started becoming mainstream a few years ago. We saw the advent of consumer grade VR units hit the market with the Samsung Gear VR, a partnership between Samsung and Oculus that has breathed new life into the world of mobile gaming and given mobile titles a depth they’ve never had before. This year we saw the launch of the first really big name models though, the HTC Vive, Oculus Rift and PlayStation VR, and it’s clear that VR is the future of gaming for many different genres, even if it’s not the complete replacement of more traditional games on a screen. Google is ready to jump themselves into the mix, and they’re doing it in a big way with Daydream View. 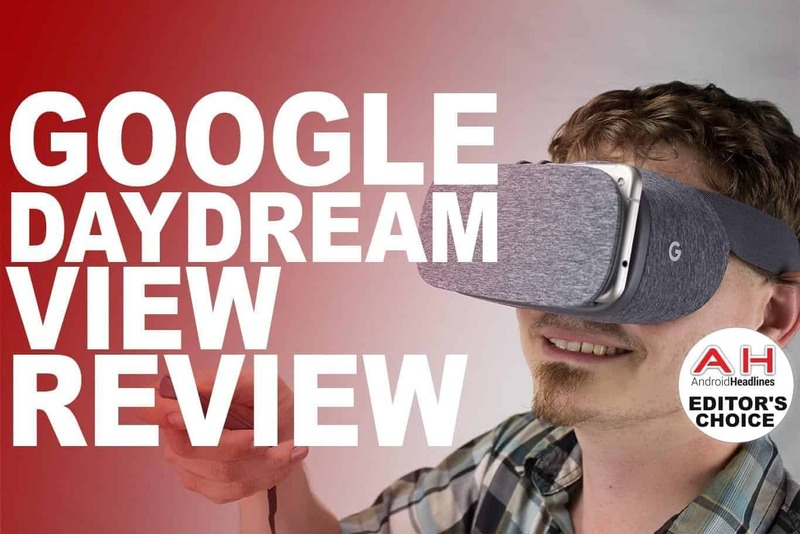 As the first headset to launch in the brand new Daydream ecosystem, Daydream View has a lot of hype to live up to, and will help build a bright new future for VR on Android-based devices. Google’s style has become more unique over the years since Matias Duarte joined the design group back in the Android 3.0 Honeycomb days, and since then we’ve really seen Google come into their own in many ways. While the latest Google phones, the Pixel and Pixel XL might resemble the iPhone in more ways than some would like, they are still unique looking phones that can be easily picked apart from the pack in a lineup, and Google is taking that unique looking factor to a whole new level with Daydream View. Coming in three colors and selling for $79, your choice of Slate, Snow or Crimson headsets all come in an incredibly sturdy and plush package. Daydream View is made almost entirely of fabric, and this was done for a number of reasons. First off it looks great and seems more like clothes than a giant plastic VR headset would. Second, it’s incredibly light; nearly 100 grams lighter than its closest competitor, the Gear VR, and nearly half the weight of more heavy duty units like the PlayStation VR. Then of course there’s the fact that this is primarily designed to be a mobile product, which means light and resilient to drops and other factors like that is incredibly important. Pair that with the fact that Daydream View comes with a Wii-like motion controller and built-in storage for said controller and you’ve seemingly got the ultimate mobile VR system. Google is also creating an entire ecosystem around Daydream, and only certified devices and software will be able to carry the Daydream name. This means powerful devices able to handle the VR workload, as well as software that meets certain standards and criteria for an optimal VR experience. Has Google nailed this one? Take a look at our video review below, and don’t forget to check out our full written review for all the nitty gritty details that we can’t possibly fit in a short video. Do be sure to subscribe to our YouTube channel as well, as we’ve always got weekly content that’s sure to keep you entertained and well informed on the latest and greatest in tech!